The live poker events of the 2018/19 WSOP Circuit Thunder Valley stop are still in full swing, with the first day of the $3,250 High Roller event already in history. American Jeff Tugwell managed to build a big stack and is to proceed to Day 2 as chip leader with 300,400 in chips. The High Roller is being held as an unlimited re-entry event with a buy-in worth $3,250. By the end of Day 1, a total of 70 entries joined the action, with only 28 of them set to return for the second day of the event. Once registration closes, the organizers will be able to calculate and announce the exact prizepool amount. Randy Lew (@nanonoko) finishes Day 1 of the @TVPokerRoom High Roller 3rd in chips out of 28 remaining players. Registration closes at the start of Day 2. Considering the fact that the High Roller event has already brought together 70 entries and a current prizepool of more than $200,000, it has become the largest WSOP Circuit High Roller event ever held in Thunder Valley, in terms of both prizepool and number of entries. Registration is still open, so they are expected to grow even further. As mentioned above, Jeff Tugwell finished the first day of the $3,250 High Roller event with a chip stack of 300,400. Far behind his lead, is Stephen Song, who is second in chips with a stack of 180,400, while Randy Lew is third with 163,200 in chips at the end of Day 1. With the $3,250 High Roller event set to have its second day of action, the $1,700 Main Event of the 2018/19 WSOP Circuit Thunder Valley stop is also set to start today, January 18th. 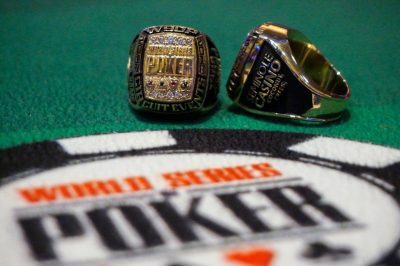 The Main Event will offer two starting flights and a $500,000 guarantee to the ones who willing to become the next WSOP Circuit gold ring champions. 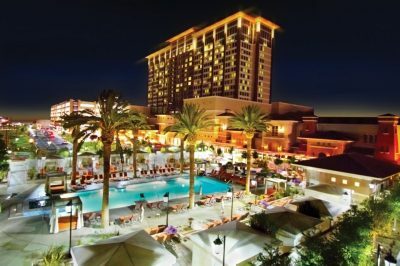 Meanwhile, two one-day events were brought to an end on January 17th – the $250 Senior Event and the $400 NLHE event. Both of them started yesterday and were hosted at the Thunder Valley Casino Resort. A 56-year-old poker player, called Mark Crusha, won the eighth event in the 2018/19 WSOP Circuit Thunder Valley stop. Despite the Seniors event is not a gold ring event, it has marked a personal victory of Crusha, as it brought him his first Circuit win and a prizepool portion of $8,318, which has been his second Circuit cash so far. Event #9 was also brought to an end yesterday, with Danny Minh Nguyen emerging victorious from the action, with him taking hold of his first-ever WSOP Circuit ring. Nguyen also took home a money prize estimated to $12,937 after denying a second gold ring of the series to Adam Dunkle, who remained in the runner-up position of the $400 No-Limit Hold’em ranking after a fierce heads-up battle against him.